Elle lives in Oakland, where they were born, raised, and attended Mills College. Elle enjoys smashing the Patriarchy whenever the opportunity presents itself, spending time with their kiddo and pet niblings, karaoke, and TV/Book Reading/Theater marathons with their dearest comrades. Mark Bowman has been involved in the development of LGBT-RAN since its founding in 2001. He earned a Master of Divinity degree from Boston University School of Theology. He first became active in Affirmation: United Methodists for Lesbian, Gay, Bisexual and Transgender Concerns in the late 1970s. 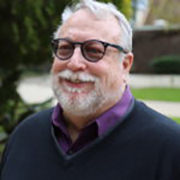 He was instrumental in the formation of the Reconciling Congregation Program (United Methodist) and the magazine Open Hands and headed these programs for fifteen years. He played a key leadership role in initiating several cooperative ventures in the ecumenical “Welcoming Church” Movement, including the historic, massive Witness Our Welcome (WOW) Conference in 2000. He was also one of the original members of the National Religious Leaders Roundtable of the National LGBTQ Task Force. Rev. 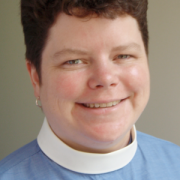 Carla Roland Guzmán was raised in Puerto Rico and is ordained in the Episcopal Church. She serves an inclusive, bilingual, and multicultural congregation in New York City. Rev. Roland has a Bachelor of Science degree in Engineering from Cornell University; Master’s of Divinity from the Church Divinity School of the Pacific; Master of Arts in Church History from the Graduate Theological Union; and is currently finishing her PhD in Theology form the University of Exeter (UK) and Hartford Seminary. 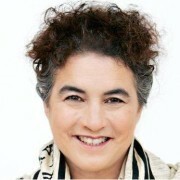 In the early 1990s she was involved with the LGBTQ community while at Cornell University, and the work done at that time led to the creation of the LGBTQ Resource Center, one of the earliest in the country. She recently served one year on the board of the Cornell University GALA. Her current interests lie in bringing the voices of people of color to LGBTQ institutions, as well as, bringing LGBTQ voices to the Latin@/Hispanic Community, including Churches.She has been a member of the CLGS Latino/a Roundtable: Fe, Familia, Igualdad since its inception. Rev. Jakob Hero-Shaw is the Senior Pastor of the Metropolitan Community Church of Tampa. Jakob received his MDiv and Certificate in Sexuality and Religion from the Pacific School of Religion and his MA in Ethics and Social Theory from the Graduate Theological Union. He holds a Graduate Diploma in Christian Theology and Spiritual Direction from Cardiff University in Wales, and a BA in Religious Studies with an emphasis on Christianity and Islam, from the University of South Florida. Jakob has led trainings on human rights and participated transgender advocacy throughout the United States, Canada, the United Kingdom, and Central and Eastern Europe. Jakob’s favorite thing in life is being a dad! He lives in Tampa, Florida, with his husband and their two children. Rev. 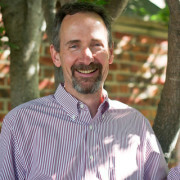 Jim Mitulski (BA, Columbia University, ’86; MDiv, PSR ’91) has joined the CLGS staff as the Major Gifts Officer. In this capacity, Jim will be responsible for overseeing donor relations and major fundraising to build the Center’s endowment, which is currently valued at $1.5 million. Jim is no stranger to PSR and has been associated with CLGS since its founding. 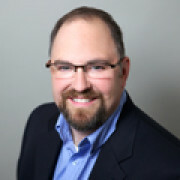 A 2004 PSR Distinguished Alumnus of PSR, Jim served for nine years on the PSR Board of Trustees and has served as adjunct faculty, co-worship director, and campus pastor. 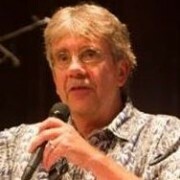 Jim brings many years of organizing and activism in LGBTQ, HIV/AIDS, racial, and immigration justice along with UCC, MCC, DoC, and TFAM ordination connections and has pastored churches across the country. 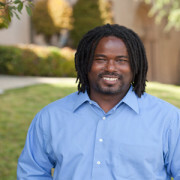 He also serves as the interim pastor of Island United Church, UCC in Foster City, CA. His e was a Merrill Fellow at the Harvard Divinity School, and has a n honorary doctorate from Starr King School for the Ministry. He is the author of Transgender: Ministry, Theology, and Communities of Faith, which was a finalist for a Lambda Literary Award in 2003, and is a contributor to the forthcoming Transgender: Four Views (Baker Academic Press, 2018). He has also contributed chapters to the Queer Bible Commentary and Take Back the Word: A Queer Reading of the Bible. An artist and photographer, Justin has had a lifelong passion for the arts. After receiving his PhD from Yale University in the history of Christianity and teaching on the East coast, Bernie became one of the original staff members of the Center when it opened its doors in the fall of 2000. Since then he has held a number of positions at CLGS, including Program Director and Interim Deputy Director, before becoming Executive Director in July 2009. In addition, he directs the development and advancement work of the Center, teaches in the Certificate of Sexuality and Religion Program (CSR) at Pacific School of Religion, and serves as an editorial consultant for the CLGS/Pilgrim Press Book series. Rev. Dr. Roland Stringfellow earned a Bachelor of Science degree in Education and a Master of Science degree in Counseling from Indiana University. He later earned a Master of Arts degree in Ministry from Grace Theological Seminary and in 1990 became a licensed minister in the Baptist Church. 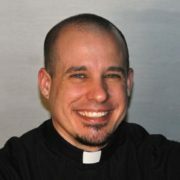 In 2005, Roland was ordained with the Metropolitan Community Church and in 2006 he earned his Master of Divinity from the Pacific School of Religion with a certificate in Religion and Sexuality. In 2011, Roland became licensed with the United Church of Christ and The Fellowship churches, a predominately African-American denomination with an outreach to LGBT individuals. He has worked as a pastor in Indiana and California. In addition to all his work within church contexts, Roland also worked in the field of education in a variety of capacities – teacher, guidance counselor, college advisor, and vice-principal. Roland is currently based in Detroit, Michigan.